You can sip and nibble your way to Christmas day! These adult versions of advent calendars give you a daily surprise of wine and cheese. Food blogger Annem Hobson created a Cheese Advent Calendar filled with 24 cheeses for holiday cheer. Some of the cheeses included are applewood, mature cheddar and wensleydale. Feeling fancy? 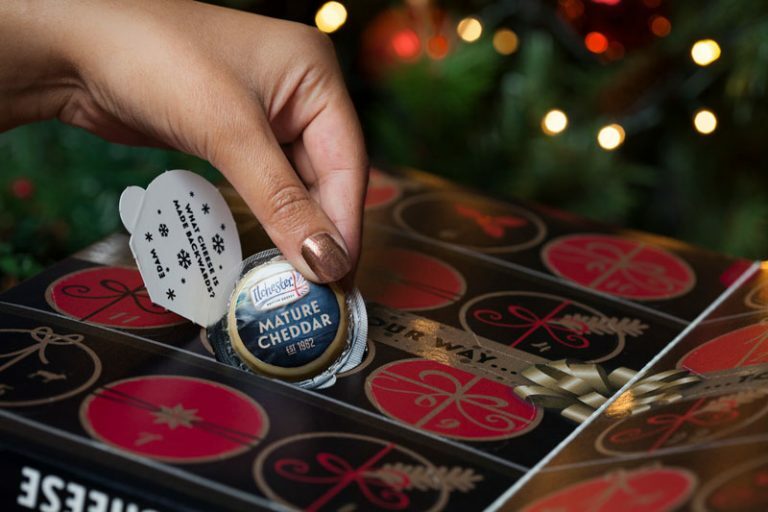 Pair your cheeses with the Virgin Wines Advent Calendar. The wine calendar comes with 24 mini bottles of red, white, prosecco, and more. If you've always dreamed of having your own wine cellar, you’re on your way! Would I buy these? Yes, they’d make great gifts. When I showed the office staff, they said “I’d buy one.” The cheese advent calendar is sold in ASDA stores in the UK for £8 (about $10); the calendar may be sold around the world in 2018. The Virgin Wines calendar is only available in the UK, it costs £80 (about $106).